1 Are you a beginner and don’t you know how to use a router table? Are you a beginner and don’t you know how to use a router table? For a wood project lover, there are many router tables available in the market. For making various wood projects and DIY a woodworker must use a router table. Almost all the woodworkers use a table router to make their project more appealing. Before using a router table you need to know how to use a router table first. A router is used for molding a profile into the workpieces. For having a great finishing and smooth surface you can use a router table. For the beginners, it is not easy to use table router without knowing it very well that how to operate. In this article, you are going to know how you will work with a table router in your workstation. So, go through the article and the router table tips and tricks. While working with sharp edges you must to be very careful with your safety. As the cutting tool spins at a great speed you should not work with a bare hand. It is dangerous to take your hand unconsciously near to the sharp cutting tool. When the issue talks for the safety then you should give it the first priority. An accident is always an accident. You can do nothing with that. But by remaining careful you can be saved from various accidents while working with a router table. You should use eye and ear protection as it makes noise and creates wood sand. The expert woodworker always uses eyeglass and ear protection to remain safe. As it is an electrical device there remains the possibility to happen an electrical accident. When your work is supposed to do, plug the device off from an electric connection. Last, of all, I will suggest you remain safe while working and do not do any unconscious deed while working in your workshop. Give the safety issue the very first priority. Sometimes a very small piece of wood it becomes hard to hold in hand. But by using a router table the task can be done easily. A starting pivot can help you out. For this, you can make a pattern or shape a pattern. Against the starting pivot block, you should pivot the wood for having great control. Many routers come with a hole which is known as starting pin and that does the same job. It should be noted that the pivot should firmly be attached two to three inches from the bit. You should cut the pattern piece from a fiberboard which has medium density. You can use a sander to do the surface smooth. After that, you can attach the pattern with your wood piece and can start to mold it with a router table. The router table is used to mold a profile into the wood pieces. It is very easy to mold a profile by a router table rather than a router. While cutting through a table router there the wood pieces apply a pressure to the board. You should feed that board at a very steady rate so that it can be fixed perfectly. It helps to avoid burn marks from the project. A woodworker can use the router table for making his wood project more smooth and fashionable. Before molding, you should know about how to use a router table fence and the pressure and holdings. You should cut less than 3/8 inches deep because it creates impacts on the motor. You can avoid this by adjusting the fence. The pressure should not be so much exceeding that your project gets a wrong direction. So, obviously, the pressure is a great issue while working with a router table. Then you have to hold the workpiece in a decent way so that you can get the maximum opportunity to mold your profile. It’s not the fact that which edge you are going to cut. It is a bit related to the fence adjustment and placement. So keep your eyes on while adjusting the fence and mold. Router table techniques in end-grain routing have are three benefits with a router table. First of all to eliminate the chipping, push block system backs it up. It is familiar with end-grain routing. Secondly, the cutting tool is guided by the fence and last of all it is very easy to rout narrow wood pieces too. One should maintain the pressure while working with end-grain routing system. If you want to know whether you can use your router table as jointer or not? Then the answer will make you happy. You can do it surely. It can save your money and time both. You can turn the router table into a jointer by adding some parts which are available on market. It will be very effective for you. It also speeds up your work. A jointer is used to joint two parts of wood together. I will suggest you use the jointer parts with your router table. It is very easy to rout the long and narrow stock with a router table. It is difficult for a woodworker to rout the long and narrow wood piece with a handheld router. A router table is perfect for this. A handheld router is used for profiling 100 feet of wood piece and I think the efficiency and time consumption is not really worthy of this. Besides a router table has great efficiency with a lot of time savings. The accuracy is very perfect. The machine will help you with a stock of dimensions while routing. The most important part of using a table router is adjusting the workpiece. Here you know, how to build a router table top and how to use a miter gauge on a router table? You need to know about the process of adjustment of the wood piece. There is a fence which helps as a guide. Again you should have great imaginary power to rout special profile. If your project has a circular shape then set the fence shimming out the rest half of it. A good woodworker does not leave the saw mark on their project. So, try to remove it while routing. Never forget to take the help of meter gauge and scale. Take a mark on a project and start routing. As you are going to use a router table then you should know about the installation process and maintenance cost. It is very easy to install a router machine. Sometimes you should open the parts of a machine and clear the dust for getting the best performance from your machine. You have to use lubricants to keep your machine parts well enough to work smoothly. You should have a nice place to keep your machine. My suggestion to you will be that spending money to keep your machine’s health good and fit. Love your machine. You can gather knowledge in Youtube to search in Google how to build a router table youtube. Place your router in a comfortable place. Use your machine in a direct electric line. Use the router table carefully and maintain it perfectly. Always use lubricants to lubricate the machine parts. Make sure that your machine and workshop both have dust management system. You must use eye and ear protection while working. While making a very small project you should keep in mind that you should be more careful with the sharp cutting tool and your hand. Change the cutting tools when it loses it sharpness. Ensure that the cutting tool and your hand do not come into contact. Don’t forget to turn off the electric supply when the project is finished. Don’t change the speed meter for too many times. It may harm your machine. Don’t work for a long time. You should take a break in the middle of the working. The machine needs a break. You should not make your attempts in a hurry. If you do so then your project cannot be fulfilled. Don’t try to rout metal piece with the machine. 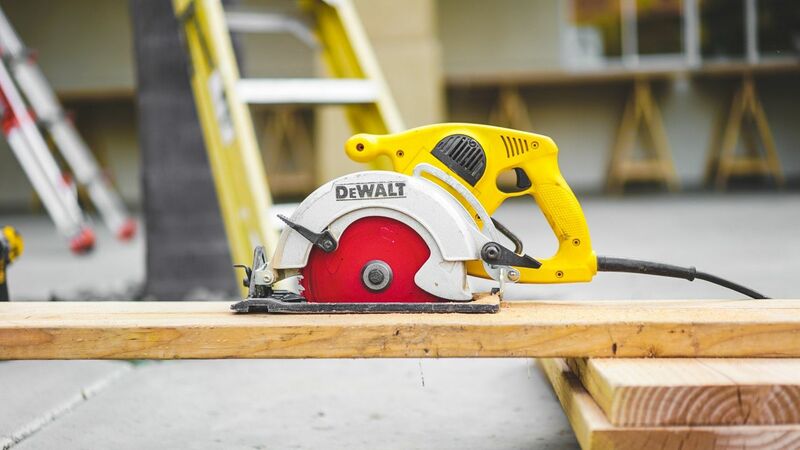 Q: Can I use my router as a jointer? Q: Can I rout very small wood piece? -Yes, you can. But I’ll suggest you be careful while working. Q: Can I use a battery for electric supply? -No, you can’t. You must use an AC current. Q: Will the surface of the wood pieces be smooth? -Yes, the surface will be smooth. There are various router tables available in the market. But you will pick the best one for your workshop. As you are a beginner then you definitely should know how to use a router table. In this article, I tried to make you understand how you can use this on your own. The basic turn on turn off a process of the machine is up to you. I had discussed more the advanced methods that a beginner should know before using his router table. I will suggest you that while working with a router table please ensure the safety first. An accident can harm a lot. So be sure about the safety issues. Happy Routing. Woodworkingpoint is a participant in the Amazon Services LLC Associates Program, an affiliate advertising program designed to provide a means for us to earn fees by linking to Amazon.com and affiliated sites.